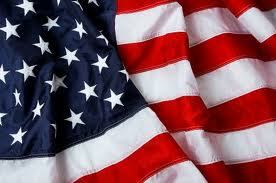 The American flag is the symbol of unity, liberty and strength of the United States. It was adopted on June 14, 1777. To commemorate this special day, we’d like to share some flag facts. If you display the American flag, it should only be displayed until dusk. The exception is if it is displayed in a well-lit area, in which case it can be flown around the clock. The flag should always be taken down in foul weather. If your flag becomes soiled in any way, it is acceptable to dry clean or wash it. In the event that the flag cannot be used any longer, it should be disposed of in a dignified way. Burning the flag is the most common method of disposal. Although the flag should never touch the ground, it need not be disposed of if it is dropped by accident. The current version of the US Flag was designed by an 18-year old student. The US Flag must never be printed on items you dispose of. To properly fold a flag into a triangle, it should take 13 folds (one for each of the 13 colonies) and only the stars should be showing when it’s completely folded. The American Flag that we use today consists of 50 stars, representing the 50 states of the union, and 13 horizontal stripes (6 red and 7 white), standing for the original 13 colonies. The colors of the flag are symbolic as well; the red representing hardiness and valor, white symbolizing innocence and purity, and the blue, vigilance, perseverance and justice. There are many other interesting facts about the American flag. We encourage you to read more on the history of the flag and think you will find it of interest.